So far I like the product a lot. I do see it helping my body. I will definitely want to continue using CBD oil. 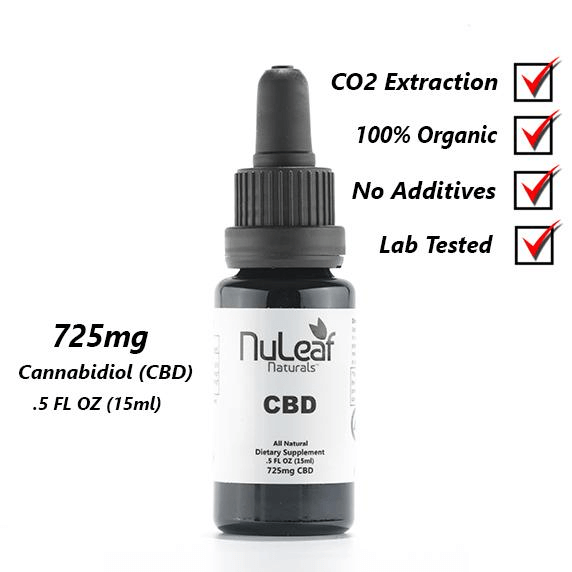 NuLeaf -- Could I be any calmer? Product outstanding, service as well. This is a bit expensive but it sure helps with anxiety and pain. A friend let me try it, and I bought/ordered it within one hour. If YOU can afford it, I'd say give it a try, I am going to purchase again! 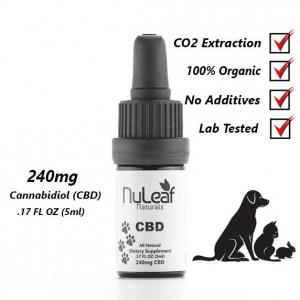 Nuleaf helps to reduce the number of seizures my dog has! Have back problems and pain in hips. This is the only thing that I have used that actually relieves most of the pain. 0.5 FL OZ (15ml) of our pure CBD hemp oil contains 725mg of CBD. All of our wellness products are lab-tested for quality and purity. 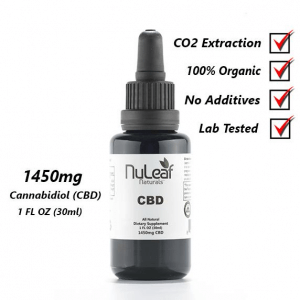 Our product is concentrated to approximately 50mg cannabinoids per milliliter of oil. Our CBD oil is a whole-plant extract containing a full spectrum of naturally occurring synergistic cannabinoids and terpenes. We strive to only deliver the highest grade products in their most pure and simple form. We recommend holding your preferred dose under the tongue for approximately 30 seconds before swallowing, to experience the dose’s full effects. Store in a cool dark place; shake well before each use. Fast & Free shipping for all orders within the USA. Most orders are delivered within 2 – 3 business days. 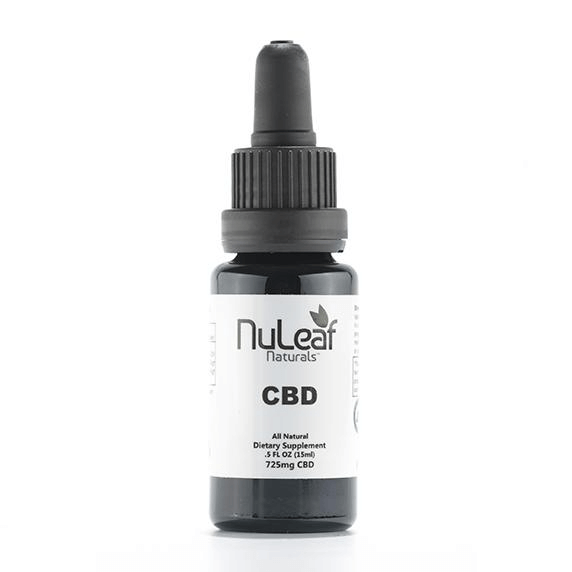 Founded in 2014 by a group of health-conscious plant medicine aficionados, NuLeaf Naturals is one of America’s top pioneering hemp companies. 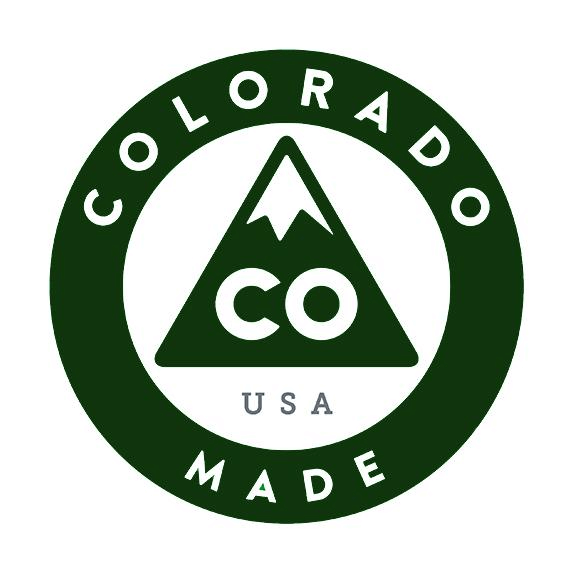 Our vision is to pave the way for a line of cannabinoid wellness products that promote a healthy body and mind. Our ultimate goal is to help people, and their loved ones live a happier, healthier life. 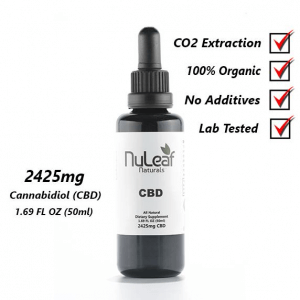 ©2014 - 2019 NuLeaf Naturals, LLC. All rights reserved.